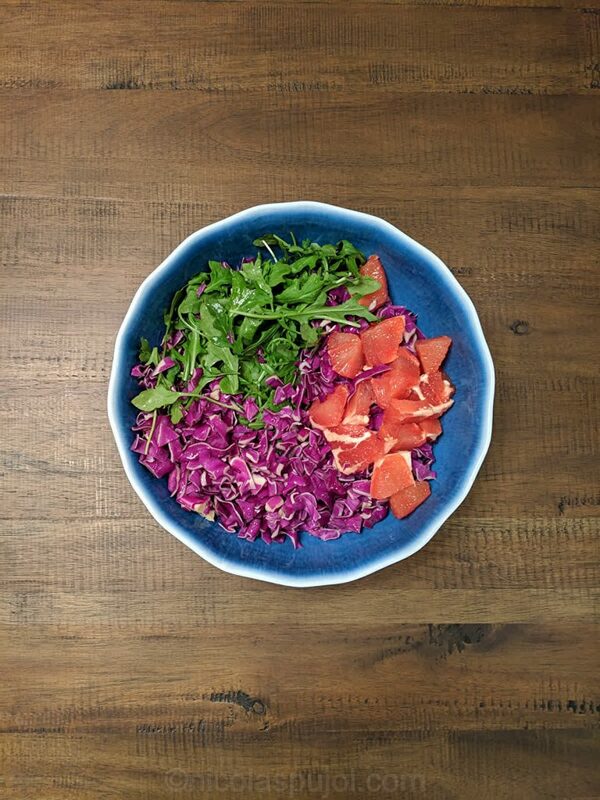 I love the flavors and nutrients of arugula and red cabbage. Both vegetables are praised by the nutrition community for their antioxidants and micro-nutrient contents. So when I opened the fridge tonight and noticed I had both already clean and pre-cut, ready to use, it was just about thinking what to pair them with. 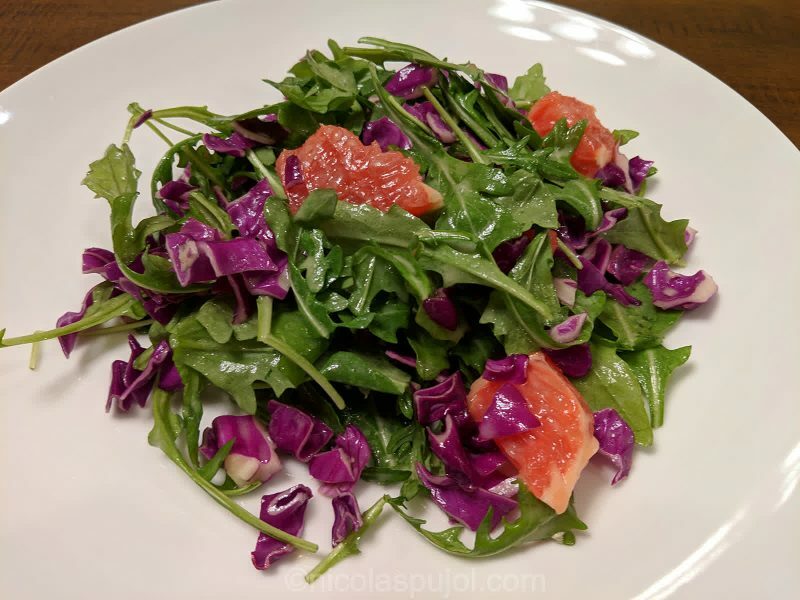 This arugula, red cabbage and grapefruit salad in French lemon dressing recipe is the result, with a refreshing and satisfying low-oil salad. The thing with red cabbage, especially raw red cabbage, is that it can taste quite dry. 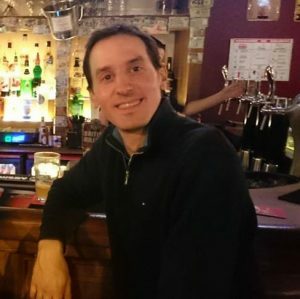 If you try and eat it as is, it will feel like a crunchy and tasteful vegetable, which hopefully is cut and sliced in small thin pieces to make the chewing easy. To make red cabbage taste delicious, it needs juicy companions. It turns out to be the same for arugula. So good with a dressing, but kind of dry on its own. To balance this out, I made a French lemon dressing, almost the classic way except that I put much less olive oil than usual. This year, I am experimenting with putting a little bit less fat in dishes, sometimes making oil-free experiments. 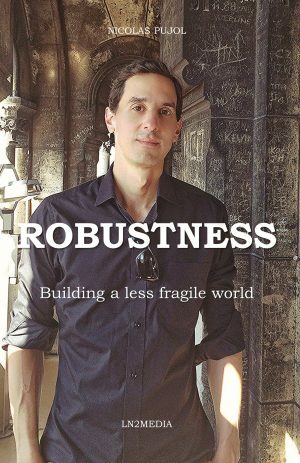 Stay tuned for this. It turns out that putting less oil yields to very similar flavors, just you feel much less fat in the dish. Finally, grapefruits make outstanding salad ingredient, just as oranges do. These fruits add a bit of acidity, sweetness, and lots of juice as you stir them in the salad, and as you chew them. It made a perfect match for the above cabbage and arugula. So here we have it. You can make this low-oil, low-calorie salad completely oil-free by not adding the olive oil. But even as is, it’s only one teaspoon of olive oil shared between 4 servings. Bon appetit! 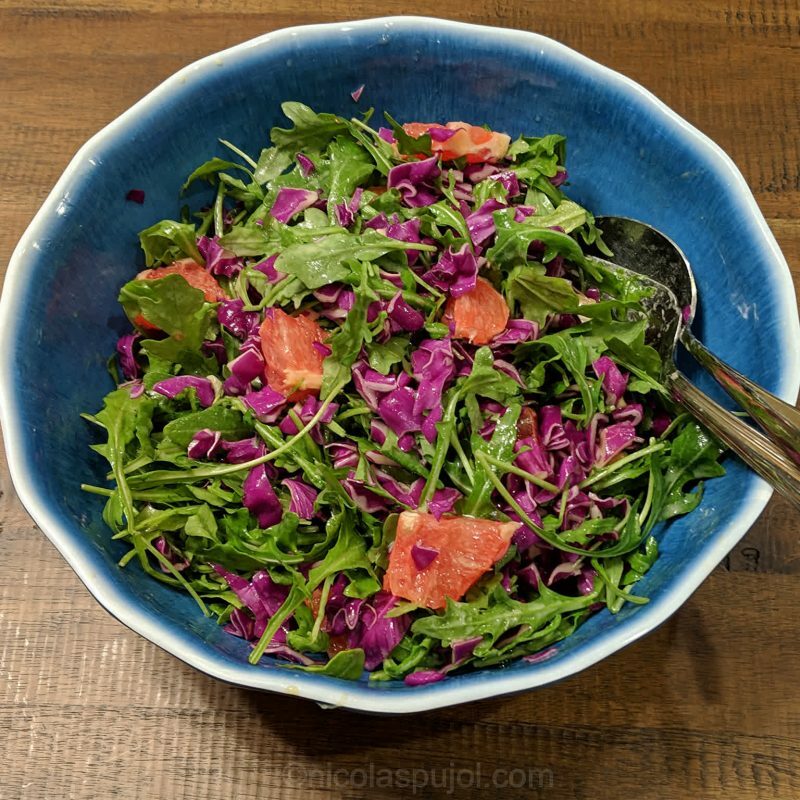 This arugula, red cabbage and grapefruit salad in French lemon dressing recipe strikes the perfect balance of crunchiness, citrusy juice, and delicious nutrients. Finely chop the red cabbage. Cut the grapefruit in two, then do round cuts to remove the skin, and finish with making small chunks of peel-free grapefruit. 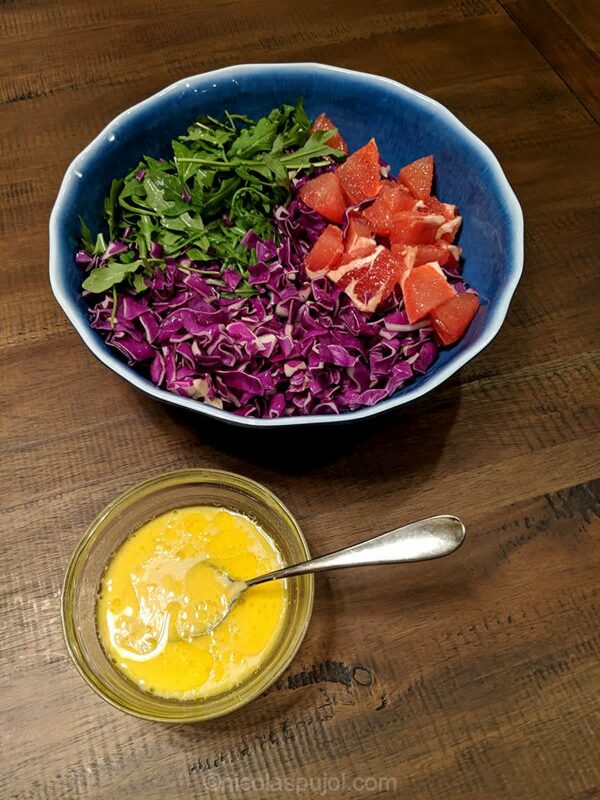 Combine oil, lemon juice and mustard to make the salad dressing. 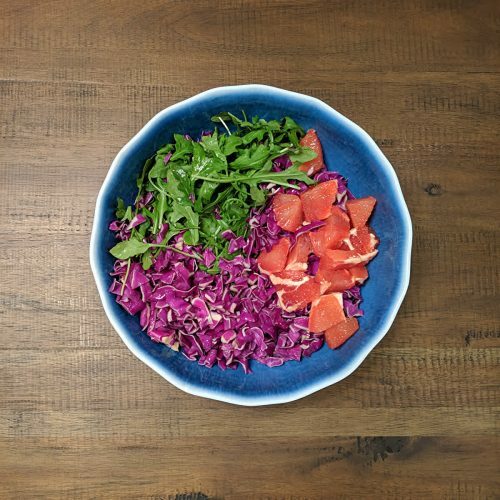 Place the arugula, red cabbage and grapefruit in a salad bowl, then add the dressing and mix it all together.